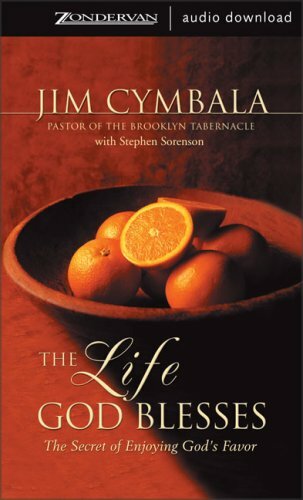 Life God Blesses, The: The Secret of Enjoying Gods Favor was written by Jim Cymbala and Zondervan. Life God Blesses, The: The Secret of Enjoying Gods Favor was published by Zonderkidz. Subjects of Life God Blesses, The: The Secret of Enjoying Gods Favor include Children's 12-Up - Religion - Christian Living, CHRISTIAN LIVING PRACTICAL LIFE PERSONAL GROWTH, Christianity - Christian Life - General, Religion, and Religion / Christian Life.